Oscar was the real-life model for Hunter S. Thompson’s “Samoan attorney”, an important character in Fear and Loathing in Las Vegas. A Mexican-American lawyer, who accompanied Thompson on several memorable adventures, he was the personification of Gonzo – a fearless, reckless, extravagant guy with a dramatic sense of humor, anger, and always a potential for impulsive action, even violence. Oscar came to me at Rolling Stone/Straight Arrow after Hunter’s Las Vegas book came out and wanted to tell his side of the story. He’d never written a book before, so it took a lot of talking to nail down an approach to his story as a poor son of a single mother growing up in central California, educating himself, going to law school, becoming an authentic political leader of the nascent Chicano rights movement in the late 1960’s. He’d come over to my house nights and weekends while we hammered out an outline, started up a few chapters, rewrote them page by page, rewrote them again, polishing, line-editing, deleting. It was a learning process but the first book I published by Oscar, The Autobiography of a Brown Buffalo, was a hit for Straight Arrow Books and sold to paperback. 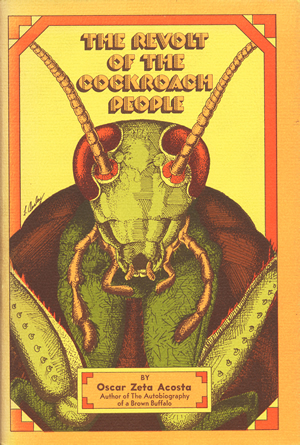 A second book, about Oscar’s campaign for Mayor of Los Angeles (he got 40,000 votes) was called Revolt of the Cockroach People. Oscar and his two books are still read and honored, especially by young people, and are studied in school.